Google has now announced a new launch named as Inbox. The Gmail team has developed the Google Inbox Android app in order to enhance your mailing experience even further. This app has been designed to focus on what really matters and this is what makes it different from the traditional Gmail. Google has been working on developing this Inbox Android as a big project for years. In this new system, the app treats your messages tasks in to do list and filters them according to their content and your own filters. It makes it easier for you to manage your mails. Bundles are created which can be removed all together in order to discard unimportant PayPal messages from a recent shopping spree. In this to do list you can set your own filters. This app will also highlight information from your important messages. It will also show web articles based on your searches. Inbox Android app offers you reminders along with integrated to-do list functionality. You can also opt to snooze notifications. This app has been designed with a beautiful interface and amazing features. The Google Inbox Android app works automatically with your Gmail account and is available for you on both web and mobile versions. The app has been listed in Play Store but it is restricted to the people residing in United States. You can only get access to it if you receive an invitation to Inbox. You can request for an invitation for the same by sending an email to inbox@google.com. You can get the Google inbox Android APK and can ask for an invitation to actually use it. The APK file of Google Inbox Android app can be used for upgrading your existing app. This file is easy to install. You can easily download the APK file to your device and install it for enhancing your user mailing experience. Download Google Inbox Android App from Google play Store. Inbox is invites only. So, request an invite to Google Inbox Android app by sending a mail at inbox@gmail.com or you can get one from a friend who has already been invited to Inbox. 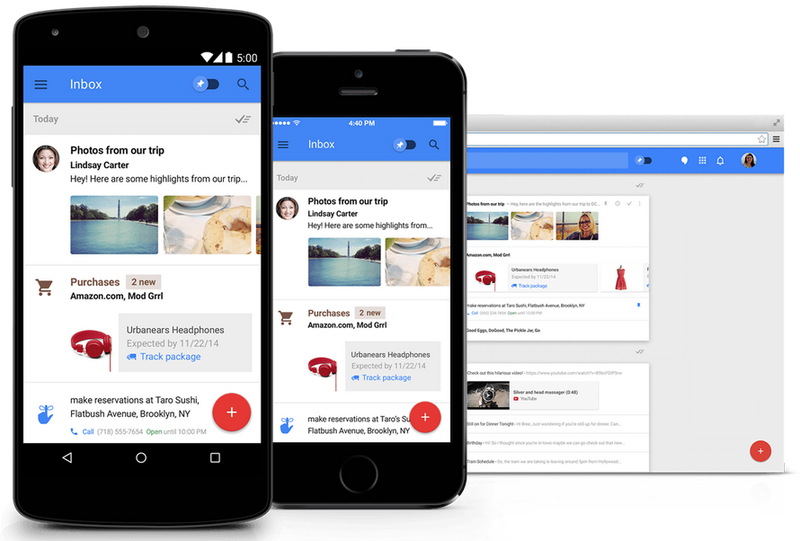 You are now take advantage the amazing features of Google Inbox Android App. The Google Inbox Android App by Gmail automatically works with your current Gmail account. It has been designed to enhance your email by allowing you to deal with similar messages all at once instead of pecking around. You can toss in reminders, ask for notifications to snooze and search web articles using this amazing app. This app is an advanced feature to compliment your Gmail app.